The first Ward End Chapel was built in 1516 by John Bond, the lord of Ward End manor as the result of an agreement with the Vicar of Aston, because of distance to Aston church and frequency of floods of River Rea. 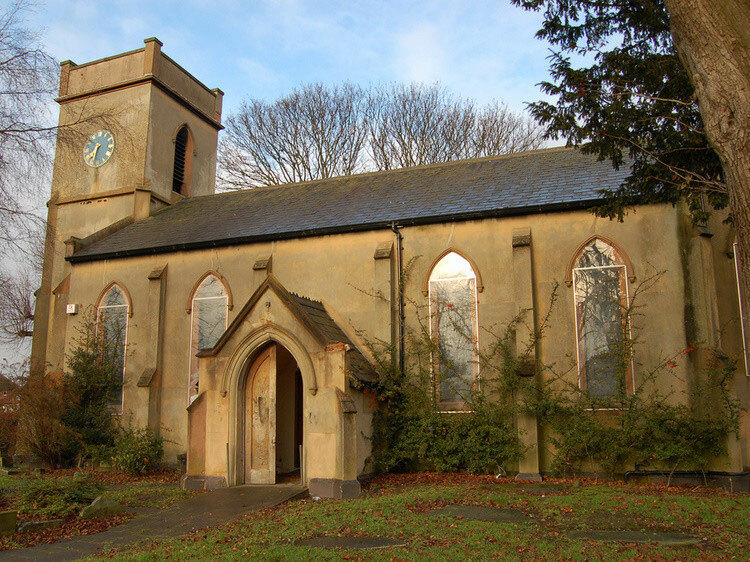 Although St Margaret's Church closed for public worship in 2005, a trust was set up 'to refurbish, redevelop and extend the old St Margaret’s Church to create a multi-purpose community centre. The church was rededicated by the Bishop of Birmingham 21 September 2014. Find the trust website at - http://www.stmargaretscommunitytrust.co.uk. See also A Church near You - http://www.achurchnearyou.com/ward-end-st-margaret/. You might also be interested in - A History of Birmingham Places & Placenames . 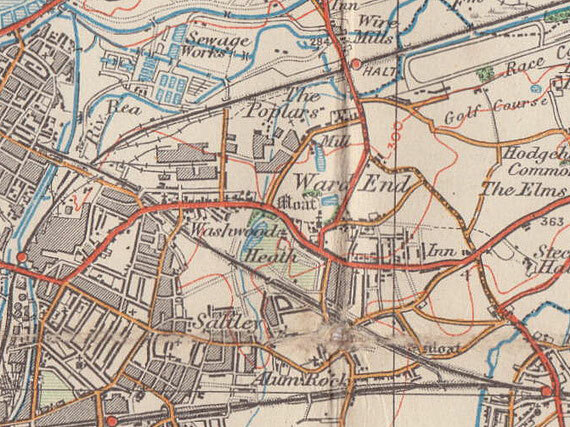 . . from A to Y - Ward End - http://billdargue.jimdo.com/placenames-gazetteer-a-to-y/places-w/ward-end/. Maps showing the urban development of Ward End from Old Ordnance Maps - http://www.ponies.me.uk/maps/osmap.html dated 1921, reusable under a Creative Commons licence. The Ward family is thought to have given Ward End its name, a manor which was also known as Little Bromwich. They were certainly here by the 13th century and it may have been they who had built the house on the moated site close to Over Pool Road. ward End Old Hall was a substantial timber-framed house which stood on an island within a large moat. The old castle has been gone about a century; the works are nearly complete, cover about nine acres, the most capacious in this neighbourhood, those of Weoley-castle excepted. The central area is now an orchard, and the water, which guarded the castle, guards the fruit. This is surrounded with three mounds, and three trenches, one of them fifty yards over, which, having lost its master, guards the fish. In 1512 William Ward held the estate which he had inherited from his father. He sold the hall and the estate to John Bond, a wealthy cloth merchant of Coventry some time before 1515. In that year he enclosed some 12 hectares to make a deer park. The park lay between the Wash Brook (the stream in Ward End Park), Wallbank, St Margaret's Road and as far as Bromford Lane. In 1710 Charles Blackham, probably, built a new neo-classical hall outside the moat on the site of Ward End Hall Grove. The earlier hall was very likely abandoned or demolished. St Margaret's Church is the only church foundation of its period in Birmingham. Dedicated to the Holy Trinity, the Blessed Virgin Mary & St Margaret, the church was built in 1517 at the expense of John Bond. Bond had come to an agreement with the Vicar of Aston that this should be a chapel of ease of Aston church and arrangements made so that the vicar would not lose out financially by the existence of another church within his parish. 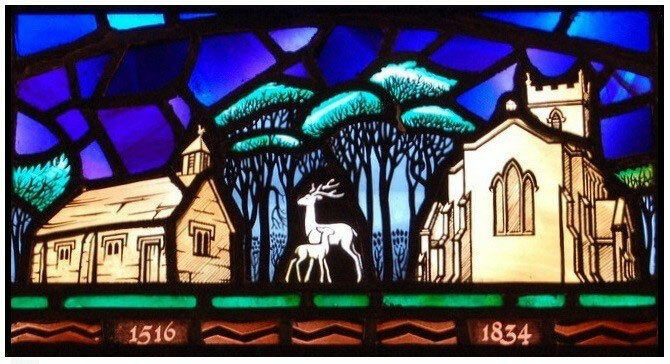 In 1512, it [Ward End] was the property of John Bond, who, fond of his little hamlet, inclosed a park of thirty acres, stocked it with deer; and, in 1517, erected a chapel for the conveniency of his tenants, being two miles from the parish church of Aston. The skeleton of this chapel, in the form of a cross, the fashion of the times, is yet standing on the outward mound: its floor is the only religious one I have seen laid with horse-dung; the pulpit is converted into a manger--it formerly furnished husks for the man, but now corn for the horse. Like the first Christian church, it has experienced a double use, a church and a stable; but with this difference, that in Bethlehem was a stable advanced into a church; this, on the contrary, is reduced into a stable. The east window shows John Bond's original chapel and is based on an early drawing. It was not until the 1830s that a public appeal for funds was made. Much of the money was raised in small amounts. The old building was completely demolished on account of its poor condition and small size and a new church was built in simple gothic style by John Frith. The church that was demolished may or may not have been the same building that was erected in 1517. A drawing in the new church's first baptism register of 1842 seems to show a larger building with at least one transept and a distinct chancel. And William Hutton described a chapel 'in the form of a cross'. Whether this was the original chapel extended or completely rebuilt is not known. The new church was dedicated in 1835. It is a very simple design and brick-built but rendered to simulate stone after external and internal restoration 1929. A monument of 1848 by Peter Hollins commemorates Birmingham's first historian William Hutton (died 1815) who lived in a house on Washwood Heath Road near Hutton Avenue. In 1870 the church was made into a parish church, the parish taken out of that of Aston. As the built-up area of Birmingham expanded, the residents of the northernmost part of the parish were given a mission room in a rented house in Bordesley Green. St Paul's Church in Belchers Lane replaced it and was enparished in 1928. Similarly Christ Church, Burney Lane in 1935. 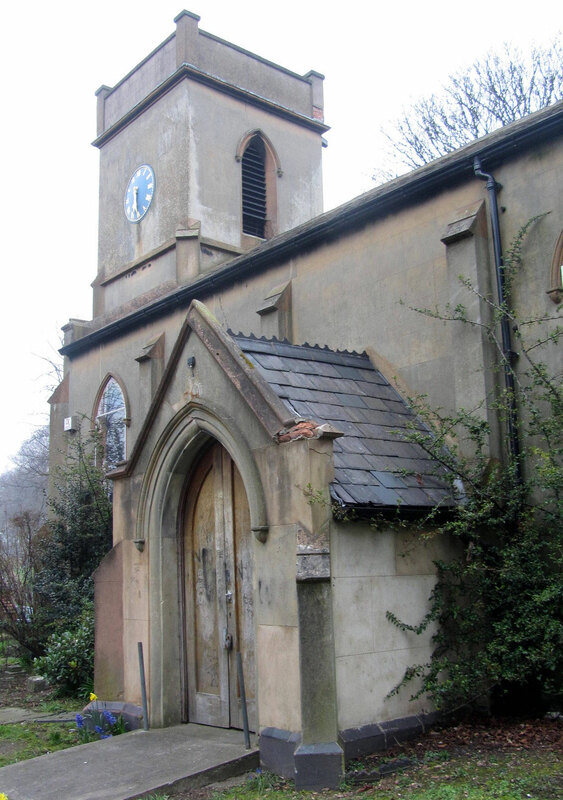 This Grade II Listed building was closed as a church due to falling numbers in 2005 and the unoccupied building fell into a poor state of repair. However, in 2010 a community trust was set up which restored the building and to made it available for both community and church use. The church is now in the care of the St Margaret's Community Trust within the parish of Christ Church, Burney Lane. The church reopened in September 2014. Historic England website - https://historicengland.org.uk/listing/the-list/list-entry/1220802. Acknowledgements - See British History Online - Victoria County History of Warwick Volume 7 The City of Birmingham ed. W B Stevens 1964 - http://www.british-history.ac.uk/report.aspx?compid=22975. My thanks to Darrell Brighton who arranged my visit to Ward End Church and to Olwyn Powell for the use of her camera.